With Pete Townshend taking a year’s sabbatical from any performing, it’s up to Roger Daltrey to keep the Who banner flying and as Roger says, he has to keep singing to keep the voice in good shape. Use it or lose it, is his motto. And so Roger kicks off the new year with four solo dates in March including a couple of nights at the Joint at the Hard Rock in Las Vegas. But the best happens in the summer months when he and members of The Who touring band take to the road in the US to perform the full version of The Who’s Tommy. They are playing fifteen dates across America and in each city they will be accompanied by a symphony orchestra including The Boston Pops, the Nashville Symphony Orchestra and the Cleveland Orchestra. 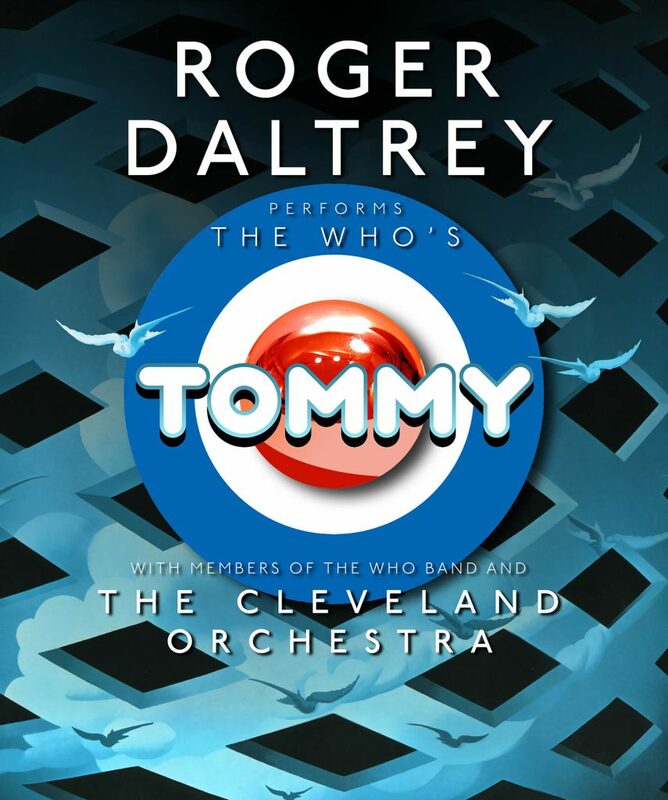 And one of the dates will be at the Tanglewood Music Shed in Lenox,Massachusetts, where The Who originally performed Tommy back in 1969. Here’s the tour logo which I designed which incorporates in the background, Mike McInnerney’s Tommy album artwork plus the red metallic pinball and roundel which I created back in 2011 when Roger first toured Tommy as a solo venture.